Master Bond EP36FR is a unique one component, high performance epoxy for bonding, encapsulation, potting and coating featuring flame retardancy. It meets the Airbus specifications. 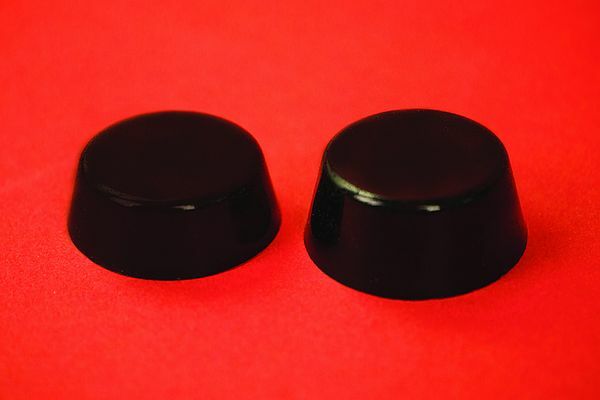 This epoxy features good heat resistance along with some flexibility at elevated temperatures. It can withstand thermal and mechanical shocks and resists rigorous thermal cycling. EP36FR bonds well to a variety of substrates including metals, composites, glass and many plastics. It has good chemical resistance to water, fuels and oils. It is used in all kinds of aircraft applications where protection is needed from flames, smoke and materials that might burn; particularly, electronic components. This one component system is primarily used for potting but can also be used for bonding and sealing. EP36FR retains toughness and heat resistance up to 500°F without losing its critical properties. The hardness remains consistent (20-30 Shore D) above its Tg up to 500°F, and it is still able to withstand rigorous thermal cycling. And while EP36FR is an unconventional epoxy, it is conveniently available in 30 gram preforms as well as 1/2 pints and pints. It is a B-staged material meaning that it is packaged as a partially cured system. More specifically, it is a solid at room temperature. Since it is a solid, it must be heated in a forced air or convection oven at 200°F for about 30 minutes to transform it to a liquid. The working life at this temperature is 60-75 minutes. To complete the cure, the temperature should be 350°F for 2-3 hours.